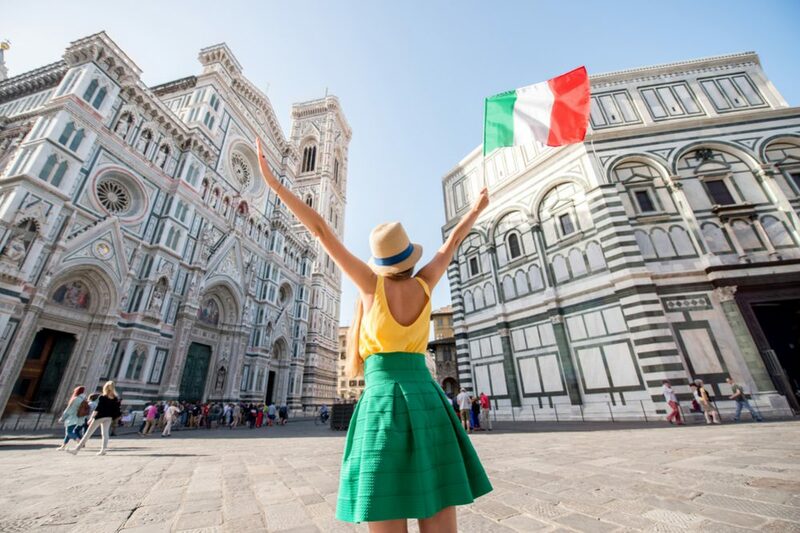 Situated in central Italy, Tuscany will charm you with its natural beauties, lovely countryside, rich culture, and super delicious traditional dishes. For all food lovers, this stunning region is the perfect place to be thanks to its unique specialities made with natural ingredients. 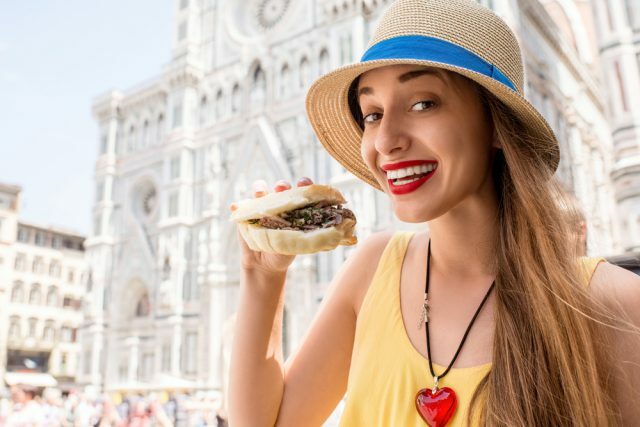 If there is one thing for which holidaymakers return to Tuscany, that is certainly its food which is characterised with simplicity, uniqueness, freshness, and tastiness. 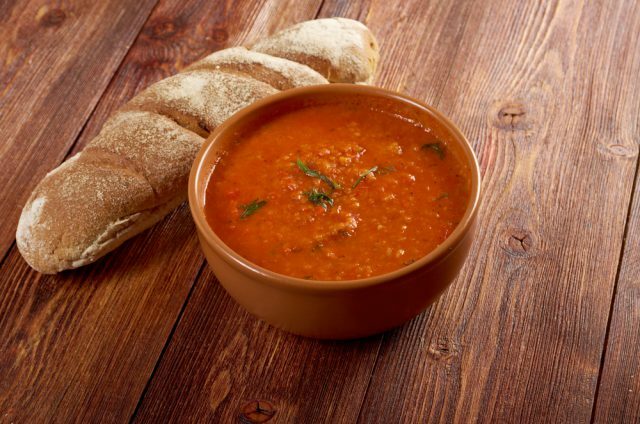 Pappa al Pomodoro is a delicious soup that Tuscans make with tomatoes, basil, olive oil, and stale bread. Sometimes garlic is also part of this speciality depending on the recipe in different towns. They usually serve it during winter time as warm comfort food. This is a very popular appetizer among local people and tourists as well. 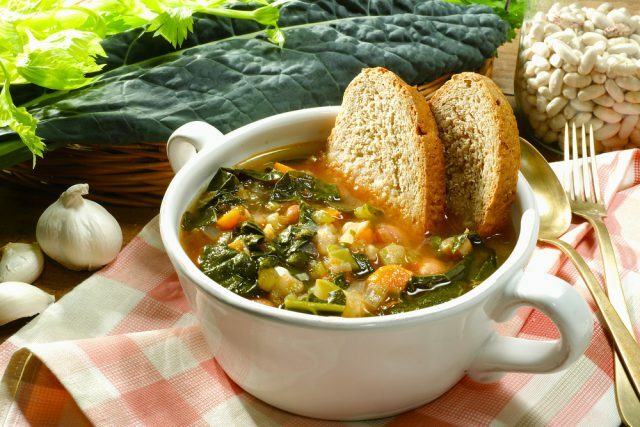 When talking about the taste of Tuscany, we have to mention the mouthwatering Ribollita. “Ribollita” literary means re-boiled. It is a soup and another popular winter dish. People make it with stale bread, beans, cabbage, carrots, onions, and other vegetables. They actually re-boil the leftovers of a previous meal and cook another delicious plate. Castagnaccio is a traditional dessert from the Tuscan cuisine that you will fall in love with. 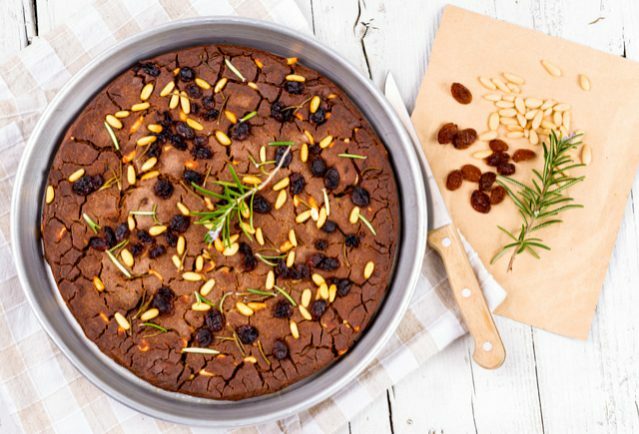 It is made with simple ingredients including Chestnut flour, pine nuts, raisins, olive oil, rosemary, and water which are all baked together. Sometimes, Tuscan housewives add dried fruits and orange rinds to make it richer in taste. To get a taste of Tuscany, you have to try the Bistecca alla Florentina. This is a super delicious Tuscan, T-bone steak that comes from a specific cow breed, the Chianina. 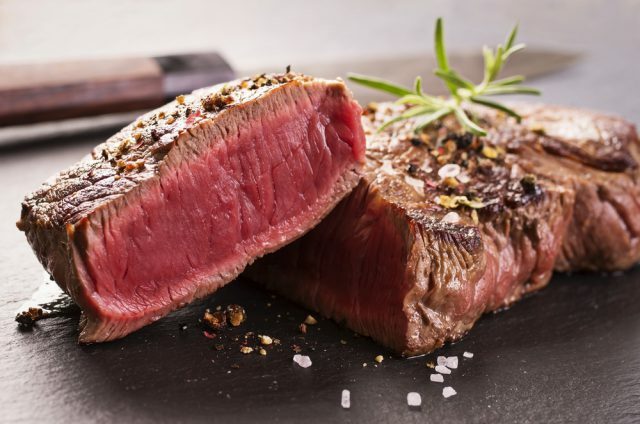 Chefs cook it rare on the inside, and it has to be well browned on the outside. For a little shine, they put a bit of olive oil and serve it with roasted potatoes and beans. If you love meat, you should definitely try this Tuscan food. Another dish that is worth mentioning to feel the taste of Tuscany is Fettunta. 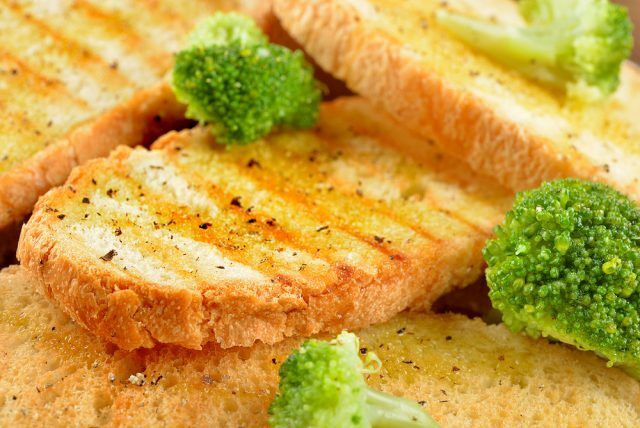 It is a very popular homemade bread that is grilled with salt, olive oil and garlic. There is not a better way to begin your meal at Tuscany restaurants but with this traditional bruschetta. Once you try a bite of this delicious bread, it will become your favourite Italian food. Some of the most famous specialities in Tuscany are Truffles. They are a traditional ingredient in autumn in different dishes including pasta with Black Truffles. 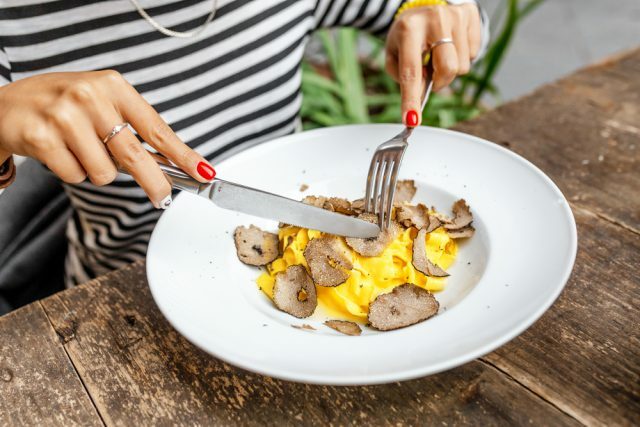 There are different types with different flavours such as White Truffles Pregiato, Tartufo Marzuolo, Tartufo Nero Pergiato, etc. Coccoli is another Tuscan speciality, and a must taste of Tuscany. 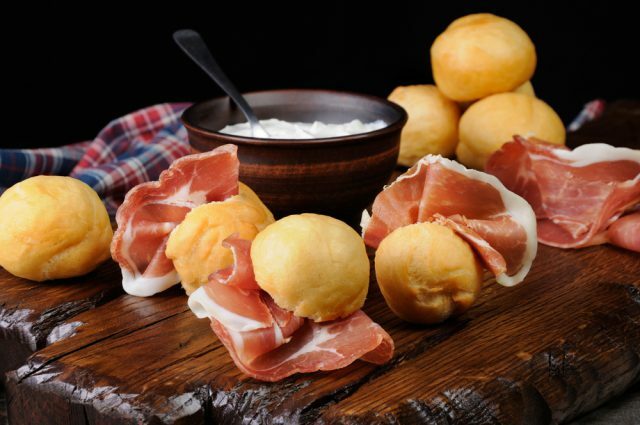 These fried balls of dough are served with Tuscan ham, Prosciutto, and Stracchino (soft spreadable cheese). This is one of the most delicious appetisers in Italy that you shouldn’t miss trying. The Tuscans produce the unique Vin Santo or “holy wine” since the middle ages. It is a dessert wine made from Trebbiano, Malvasia, and Columbani grapes. 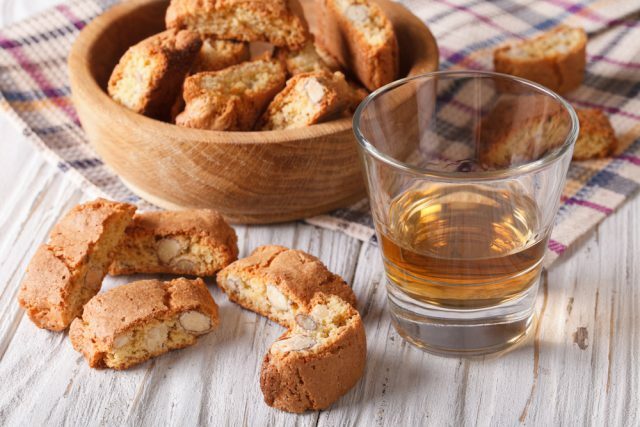 Traditionally, Italians combine it with cantucci biscuits (hard cookies). Trippa and Lampredotto are dishes that are especially famous in Florence. They serve them on the street and in the most expensive restaurants. Trippa is actually the stomach lining of the cow which is served in a tomato sauce or marinated as a salad. Lampredotto, on the other hand, is the fourth cow’s stomach. They serve it as a sandwich together with a sauce of parsley and the broth juice in which it was being cooked. Panzanella is a type of salad that is a true taste of Tuscany. The Tuscans like to make use of old bread, and this dish is another way to do it. 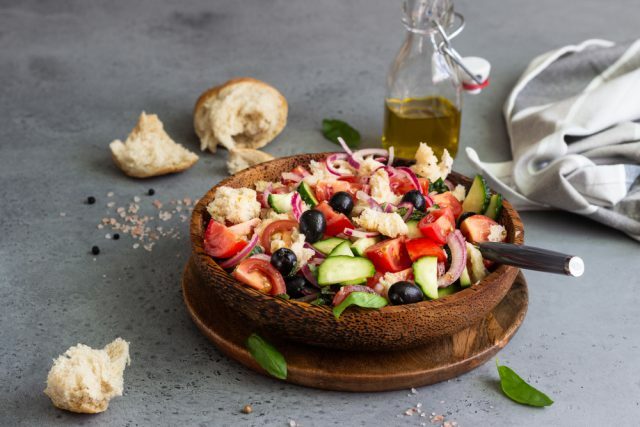 This summer dish includes cucumbers, onions, tomatoes, basil, vinegar, and olive oil. Some people even add tuna and capers to make the taste richer. When it comes to food, Tuscany region has a lot to offer to gourmands and food lovers. Explore its stunning countryside, visit its top attractions, and eat until you explode. Delicious appetisers, main courses, desserts, and drinks are awaiting you to try and feel the taste of Tuscany. Wait no more. Check our beautiful villas there and book your favourite one for the experience of a lifetime.